"What the hell am I?!" The only albums of theirs I didn't like are of course 'Mate.Feed.Kill.Repeat', and 'Iowa' (I didn't find it exciting, it's wasn't as catchy as ST and it was too repetitive). I still regard 2003's, 'Vol. 3 - The Subliminal Verses' as possibly the greatest modern metal album created. It just had so much catchy songs, and really great, clear, chunky production which became Slipknot's trademark. With this album, the band had matured - with the introduction of acoustic, non-metal songs, and clean vocals. Dimmu Borgir are undoubtedly the greatest Black Metal band that's still around. They managed to actually make this music catchy and enjoyable. And it's not just Black Metal, it's Symphonic Black Metal; the metal combined with the beautiful orchestrations is truly unbeatable. They started off as an actual Black Metal band, with the intentions of being an actual Black Metal band. Ever since their 1997 album, 'Enthrone Darkness Triumphant', they have evolved into a different band, with a different style, and it sounds a hell of a lot better. No more stale, boring, uncatchy, norwegian lyrics, the music was metal, with a chunky guitar sound, great vocals, and even better symphonies and orchestrations. 'chunky' production feel. This album appears to be following a new 'trend' in metal production - less chunky, and more distorted. What a stupid trend. The music just sounds so much worse. One of my favourite bands of all time. Apart from the constant, never-ending, high-pitched screams (or 'howls' as Dani jokingly likes to call them), Cradle of Filth make absolutely beautiful music. One of the main reasons I love this band is because they are one of the few that have a sense of humour about themselves, and their style of music. 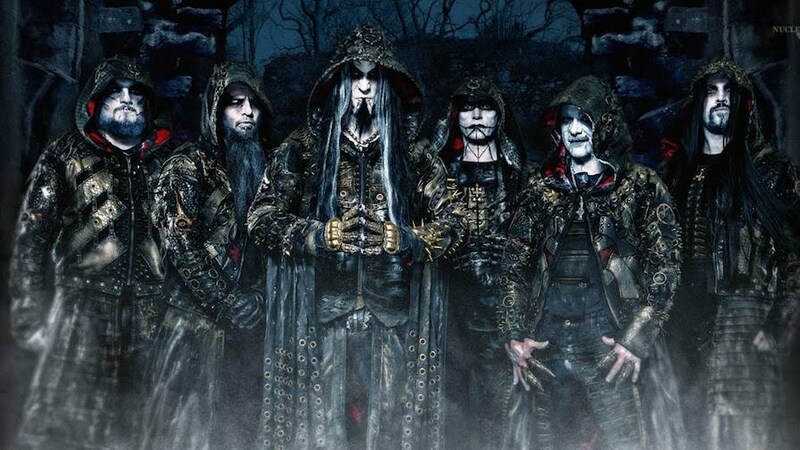 Their music is similar to Dimmu Borgir's; in that it's metal, it's ferocious, and it's symphonic - except Cradle are significantly less of a Black Metal outfit than Dimmu. 1994's, 'The Principal of Evil Made Flesh' is possibly the greatest album debut for metal I've ever heard. Recommended Track: "The Black Goddess Rises"
1996's infamous, 'Vempire' EP, is honestly one of the greatest EPs I've ever heard. Pleasing, attractive production, great cover art, and not one weak or poor song makes this one of Cradle of Filths best recordings ever. It truly is a masterpiece. Recommended Track: "Queen of Winter, Throned"
But it wasn't until 1997's, 'Dusk and Her Embrace' when the band's brilliance really started to shine. This album is easily their greatest. Dimmu Borgir made this type of music bearable, and even catchy, but Cradle of Filth, with this album, made it utterly beautiful to listen to. Great production, although Vempire's was of better quality. Possibly my favourite album of any band....ever. Seriously. 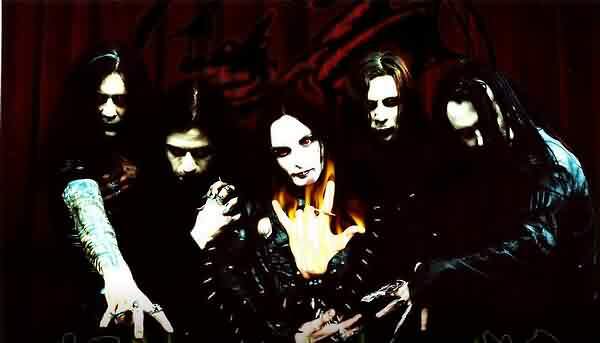 Recommended Track: "Dusk and Her Embrace"
1998's, 'Cruelty and the Beast' was....a letdown. Awful production, and repetitive songs that drag on for what seems like ages. But what more could you expect? It would be literally impossible to follow up Dusk without looking poor in comparison, and to reach the level of greatness the band reached with Dusk, just couldn't happen again. Recommended Track: "Venus in Fear"
Fortunately, it came close, with 2000's, 'Midian'. Just a great album from start to finish. Some songs did drag on a bit, but others were conceptual masterpieces in every regard. There was an EP before this album, but that stunk.....badly. Next came, 'Bitter Suites to Succubi' (Cool name, right.) It wasn't an album, per se, just a collection of recordings to keep the fans busy. It was actually pretty great, except some songs sound the same as others, and there was heaps of 'de-ja vu' going on in this one. Next, 2003's, 'Damnation and a Day'. Although it would be hard for me to tell you clearly how much work and effort went into this one, I consider it a failure on many levels. It was just of a completely different stlye The choice to move to 'Sony' wasn't thought through as much as it could've been. This album is probably the most apparent example of songs sounding the same. I'm serious, pretty much 14 out of the 17 sounded nearly identical in parts. It was a failure, but it wasn't necessarily bad. Next came 2004's great, 'Nymphetamine' album. It's hard to describe how truly great this is. Because this and Dusk are so different is pretty much every way, I consider this the band's greatest album of their new style. It was mostly repetitive, but the repetitiveness sounded great. Now, their most recent album, 'Thornography'. I had mixed feelings about this album when I first heard it. I was extremely disappointed when I first heard it, because it was so different from everything they've done before. It was like a different band I was hearing. But you know what, I'm glad they changed their style; It was for the better. They wanted to go mainstream with this album, and they did. It was a bold move; and while I'm sure they've lost some fans with it, they seem to have gained a hell of a lot more. After repeated listenings, I came to my conclusion that excluding Dusk (which is of a completely different style alltogether), this is their best album they've ever made. And I still stand by that, because this truly is. No song sounded 100% the same to another one; each song was unique. Hell, Dani even sang on some songs - which was probably what shocked me the most. But I love it. It sounds so much better than anything they've done before. Recommended Track: "The Foetus of a New Day Kicking"
No, this isn't just yet another RoadRunner metal band, they really are something special. Their music is so thick layered - both in structure, and sound; and it's catchy. I bought, 'The Fury of Our Makers Hand'. Track 1 - 'End of the Line' is possibly their greatest song ever. Track 2 - 'Driving Down the Darkness' is almost as good. Track 3 wasn't all that good. 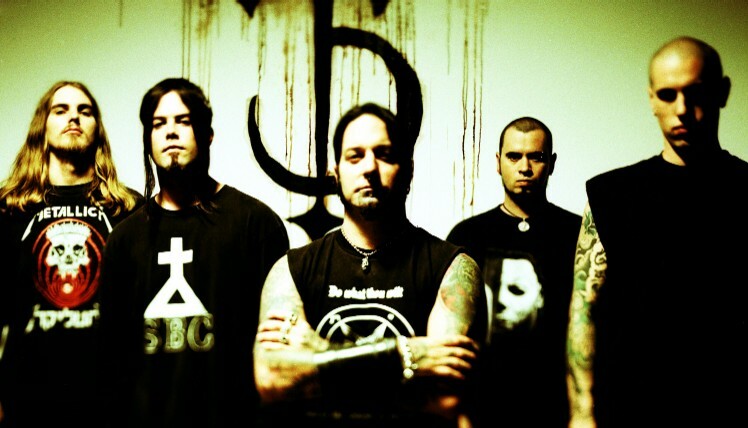 Track 4 - 'Hold Back the Day' is again, one of DevilDriver's greatest efforts. What happened after those 4 songs is a mystery. The album just....died. It's as if after recording those 4 songs (well, the 3 good songs at least), they found out they weren't getting paid, and recorded the last half of the album. It's just so dull. These are the bands that came to my head first. There's probably loads others, and when I realise I forgot heaps, I'll add them to this blog entry. May I recommend Mr. Bungle? They did a little bit of metal, but they mostly did mixes between jazz, rock, et cetera. T obe honest, I've never heard of these listed bands. total lack of Dethklok? Lame as well. I've just downloaded a few songs of the bands you list here to see if they were any good. There are quite a few good ones. I'd probably say brilliant, but I'm more of a jazz fan, so I'm biased. Location Somewhere you'll never be.